The Office of the Public Defender for Baltimore City and the Public Awareness Committee of the Maryland State Bar Association have prepared this information. It is intended to inform the public and not to serve as legal advice on a specific legal matter. An arrest is the taking, seizing or detaining of an individual by touching or putting hands on a person or taking action that indicates an intention to take the individual into custody and subjects him or her to the control and will of the person making the arrest. When you are lawfully arrested your person and the immediate area of your place of arrest may be searched. If you are arrested in your home, the police may also conduct a limited search for persons outside the immediate area of the arrest. An arrest warrant is a written order by a judge commanding the police to arrest the person named in the warrant. 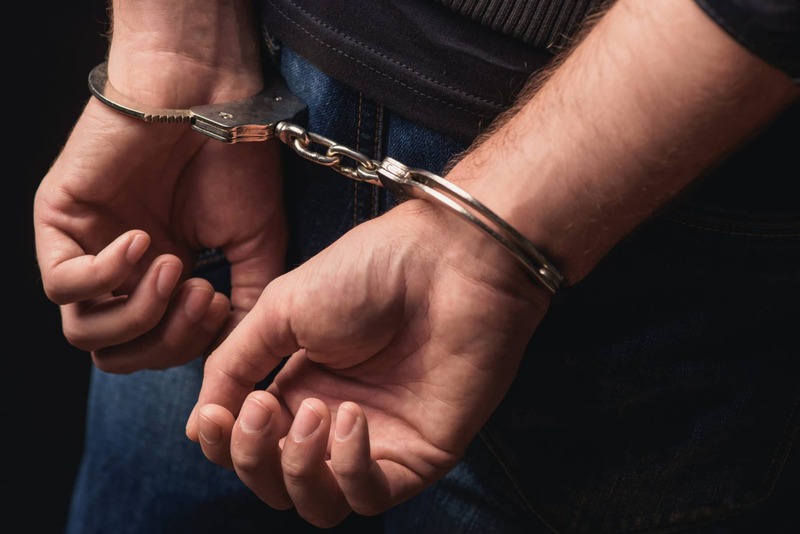 If you are arrested pursuant to a warrant, the police must tell you that they are acting under authority of the warrant and show the warrant to you at the time of the arrest or promptly thereafter. Police officers seeking to arrest you in your home must reveal their purpose and authority, unless they believe that with notification you will attempt to escape, destroy evidence or cause them harm. You can be arrested without a warrant if the police have reason to believe that you have committed or are about to commit: (1) a felony whether or not in their presence; (2) a misdemeanor in their presence; (3) a misdemeanor not in their presence if they have reason to believe you may escape, cause injury to persons or property, or destroy evidence unless immediately arrested. Without your consent or special circumstances, you cannot be arrested in your home without a warrant. You can also be arrested without a warrant for traffic violations, including: driving or attempting to drive while intoxicated or under the influence of alcohol or drugs; failing to stop or give information in the event of an accident causing death, bodily injury or property damage; driving or attempting to drive on a suspended or revoked license; fleeing or attempting to elude police officers; or when the police reasonably believe you will disregard a traffic citation. When Can a Citizen Make an Arrest? A citizen may arrest you without warrant if you have committed a misdemeanor amounting to a breach of the peace or a felony in the citizen’s presence. A citizen’s arrest is only lawful if you have in fact committed the crime for which you are being arrested. If you have been arrested by a private citizen and did not commit a crime, you may sue for unlawful arrest, even if the citizen had reason to believe you were guilty. However you may not sue property owners or merchants if they detained you because they believed you had wrongfully taken their property. What are My Rights if Approached by a Police Officer? The law permits police officers to approach you in a public place to request information. You need not submit to questioning and are free to walk away. If the police reasonably suspect that you are committing, have committed or are about to commit a crime, they may briefly detain you for questioning. Under these circumstances, the officers may request your identification and an explanation for your actions. You are not required to answer. You may be frisked for weapons during the detention if the police officers reasonably suspect that you are armed and dangerous. If while frisking you for weapons, they find anything illegal, it may be confiscated and you can be arrested. A warrant is not required for a pat-down frisk when the officers reasonably suspect that you are armed. A search without a warrant is also proper when contraband is in the officers’ plain view or the officers are making a lawful arrest. A search warrant is a written order by a judge directing the police to search a certain place or person for specified property and to seize the property. The warrant must describe the person or place to be searched and the property to be seized. In most instances, anything unlawfully taken by police officers cannot be used as evidence against you. However, if the officers have reasonably relied on a warrant which is later declared invalid or if the officers would have discovered the evidence through other means, the evidence may be used against you. If you are taken into police custody, you have the right to: be informed of the charges against you and the allowable penalties; obtain a lawyer, including the right to have one appointed if you cannot afford one; have a judge decide whether you should be released from jail until your trial; and remain silent. The police may ask your name, address, and other routine processing questions. Before questioning you about anything else, the police must tell you that you have a right to remain silent; that any statement you make may be used as evidence against you; and that you have a right to speak with a lawyer and, if you wish, to have a lawyer present when you are being questioned. The police must also tell you that a lawyer will be assigned to your case without cost if you cannot afford a lawyer but want to speak to one before questioned. The questioning must stop if you state that you wish to remain silent or request a lawyer. You silence cannot be used against you. However, what you say, as well as what you write or sign, can be used against you. Unless you actually requested a lawyer, the police may later ask you to speak with them. If you have requested a lawyer instead of merely refusing to answer questions, the police cannot question you further unless you later decide to talk without the benefit of legal counsel.